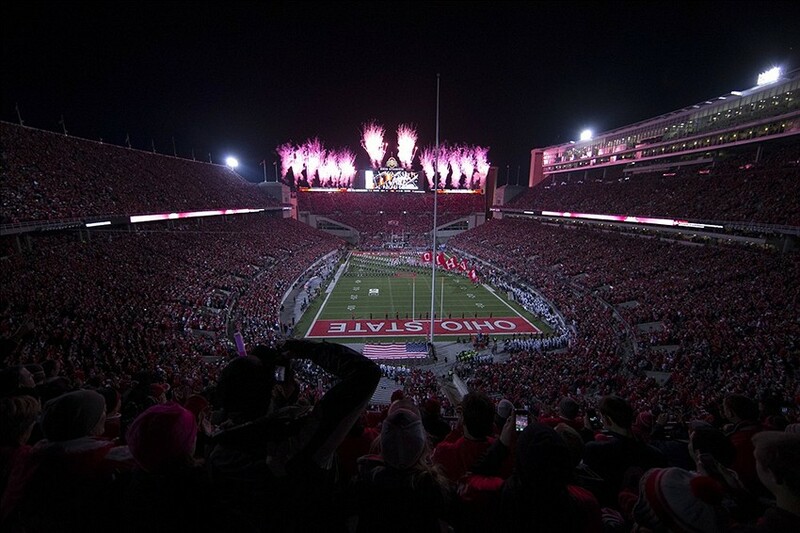 I despise the Ohio State University football team. Always have, always will. Mostly because of their improbable victory over the Miami Hurricanes to win the 2002 season BCS National Championship, on what I still believe to be a bogus pass interference call in the endzone during the second overtime period. I always thought that Maurice Clarett was a joke, someone who had a bit of the Icarus syndrome. He was too good, too soon, and he bit off more than he could chew. And he got bit in the end for it. But I never knew the whole story. In another brilliant documentary, ESPN’s 30 for 30 chronicles the rise and fall of Maurice Clarett and his coach, Jim Tressel, in Youngstown Boys. To watch the kid make it out of the slums of Youngstown, to become an incredible running back at a major university during his true freshman year, is impressive. To see him obliterate opposing defenses, it makes us wonder how good he could have been had his body held up, different choices been made, and different circumstances which would have got him to the NFL. But things did not fall into place for Clarett. Facing NCAA violations, and speaking out against his team for not letting him leave for a day or two to attend the funeral of a friend, Clarett was eventually suspended by the team, leaving him with nowhere to play ball. Eventually, he took his plight to court, where he tried to enter the NFL draft early, having only been one year removed from high school. When that didn’t work, he did what most people would do when they are famous at a young age: he partied. Eventually, he would enter the draft, and was picked up with a compensatory pick by the Denver Broncos, despite a poor showing at the NFL combine. By this point, Clarett was an alcoholic, to the point where he would be sneaking drinks all throughout the day, including before practice. He never played a snap in the NFL, and never got another chance. For this part of the downfall, there are many things that could be blamed. The NCAA, for having overly-stringent rules on innocent things (like borrowing a car when his broke down). Jim Tressel for not standing up for his player as much as he could have, OSU, for throwing their player under the bus and treating him like a pariah, when he had done so much for the program. And Clarett himself, for making poor choices along the way, making his situation worse. But his downfall did not end there. Out of football, Clarett turned back to his roots, which were the streets of Youngstown. His drinking got out of control, he began popping pills, and he began committing crimes because he needed to support his girlfriend and child that was on the way. He made terrible choices, and it landed him in jail. At one point, a car chase with police revealed an armoury of weapons in his car, which led him to prison for over three years. And this is where Clarett was able to change his life. This documentary is so powerful, because it allows us to see past the news stories of what we had heard about Clarett. He had become a punchline, due to his frequent visits to the news, all for negative of criminal activities. What we never got to see was the kid with the big smile, the love for football, the amazing natural talent, the incredible work ethic, and the dire circumstances around him. And we never got to hear of his vindication. As always, 30 for 30 provides the in-depth look of what happens beyond the headlines. Even though Clarett played for my nemesis Buckeyes, I gained a new respect for him watching this show. Much of that respect came from an understanding of what had actually happened to him, and the series of events that led to his downfall. Youngstown Boys is another definite winner in the ESPN series. For fans of college football, regardless of who your team is, seeing the story of Maurice Clarett is interesting, dramatic, and often times heartbreaking. A must-see. Films about sailing are awesome. I always enjoy watching people take to the seas, and undertake these massive, often solitary, journeys to the far reaches of the world. There are some really good films out there about sailing, and there are some mediocre ones. One of the best that I have seen is Maidentrip, a documentary about the sailing travels of Laura Dekker, a (at the beginning of the film) 14-year-old Dutch girl who wanted to sail solo across the world, over the course of approximately two years. There are many great things about this documentary. First, all of the footage at sea was shot by Laura herself. She was not followed around on her journey by support boats, planes, of helicopters. She really was out there, all on her own. Secondly, there isn’t a ton of information prior to the beginning of the trip. We don’t have to take all the time to learn about the sponsors and whatnot, but we do get to see the issues with her voyage. The Dutch government actually tried to prevent her from doing the trip, trying to prove that is was neglectful parenting to allow someone so young undertake such a dangerous journey, all by herself. The filmmakers don’t let the legal wranglings slow the story down, however. They provide nice amounts of background information, without preventing us from getting to the part that we really want to see: the sailing. With no media fanfare, Laura eventually pushes off to sea, to start her two year journey. Only her father is there to see her off. It is strange to watch, actually, considering the fanfare that many other journeys like this have received. An example of the opposite can be seen in Wild Eyes: The Abby Sunderland Story, another sea tale about a young girl trying to circumnavigate the globe on her own. At sea, we truly get to learn about Laura. And she definitely undergoes a transformation. While she begins by missing things from home, and wanting to see people on her occasional stops, she slowly stops missing things, and truly embraces and loves being on her own. Even during her longest stretches at sea by herself, she is quite satisfied with it. She doesn’t crack; she doesn’t go insane. She keeps moving. And we, as an audience, respect her for it. Laura’s maturation on the the waves of the world is impressive, and interesting. She stops missing her father, she explains the separation of her family from a very young age, and while we may think that she has a somewhat cavalier attitude towards it all, we often forget that she is just a teenager, figuring out her place in the world. Eventually, Laura turns her back on the Netherlands, no longer flying their flag off the back of her small boat. She claims that she no longer has anything in common with the Dutch people, aside from speaking the same language. She instead flies the flag of New Zealand, the place she was born, but never got to spend any time there. New Zealand became a place of dreams for her, somewhere she had never really been, even though it was the place of her birth. She struggles with the massive issues of her identity, and she does it all alone. And she does it impressively. There are so many impressive things about this kid. Her reasons for being out on the seas are not for fame, or the record of being the youngest solo traveler to go around the world. She is doing it because she loves to sail. So much so, in fact, that when her trip is concluded, she doesn’t stop. This is a kid who knows what they want, and is going to stop at nothing to achieve their goals, and find what they are looking for. Her time at sea made her wise beyond her years, and at the end of the film, as a sixteen-year-old, she has truly become independent, mature, intelligent, and fearless. To have the chance to watch this journey is amazing, making Maidentrip such a good film. She really does get to that point where she doesn’t need anybody else to help her. She knows that she can do it on her own. And so she does. This documentary is definitely a must watch for those who like films about sailing, like Wild Eyes, Deep Water, Kon-Tiki, and the like. Just a head’s up, much of the movie is spoken in Dutch, so there are subtitles. But Laura also speaks English in parts of the movie, specifically with the people that she meets along the way, on her stops in various parts of the world. 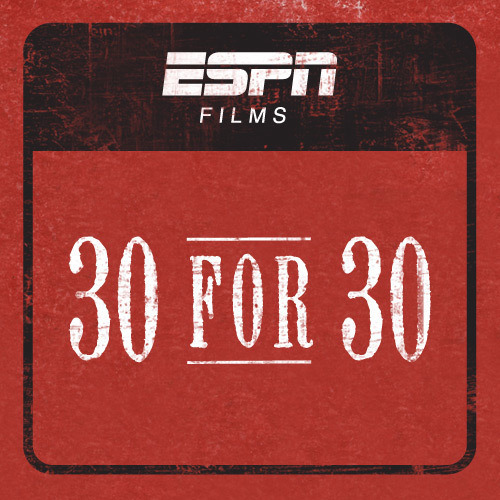 One thing that has been consistent with sports television over the past while is that ESPN’s 30 for 30 documentary series is always good. Almost regardless of the topic, they have come up with interesting stories, and turned them into full documentary films, all of which have proven to be interesting, and at times, incredibly well done. Another entry into the lexicon of the series is Elway to Marino, the story of the fabled 1983 NFL draft, that produced a crazily high number of legendary players, and featured six quarterbacks being taken. Three of those six would end up as legends, and in the Hall of Fame in Canton. 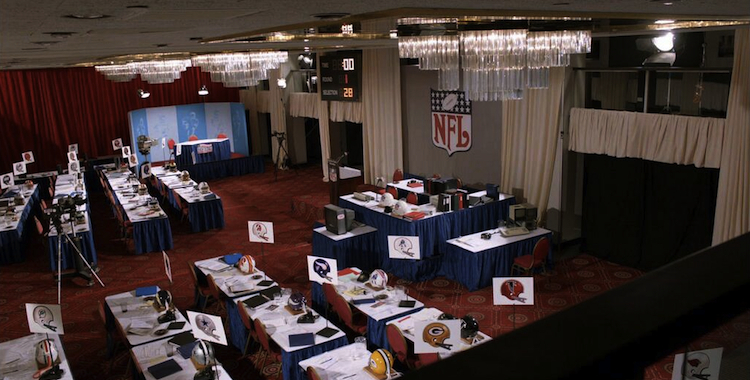 The story here really shows us as viewers the behind-the-scenes dealings during the draft. Elway had made it no secret that he didn’t want to play for the terrible Baltimore Colts, and their dodgy owner. Regardless, the Colts drafted Elway with the first overall pick, and the intrigue began. It was really interesting to hear about all of the deals that had been proposed, and failed, during the first round picks. There were several teams that were interested in Elway, and several of them made some very serious offers. The intrigue comes from how many times he was almost traded, but different things got in the way: the owner nixed the deal, the league interfered, a star quarterback caved to pressure and resigned, the offers were confused, the offers were never quite enough. If Elway had ended up on any of the teams that had tried to get him, it would have reshaped the league for quite some time. Elway as a Raider? Or Charger? Or Bear? Or would Elway, the California golden boy, just pout his way out of the league and end up playing baseball for the New York Yankees? The backroom dealings provide some of the most interesting parts of the documentary. With the other quarterbacks, there was also some cool stories. We always think of Jim Kelly being a hero in Buffalo, the place where he spent his entire career and led the Bills to four straight Super Bowl appearances. But hearing him discuss how crushed he was to be drafted by them created another layer to his story. As for Marino, one of the all-time great quarterbacks, who left behind him a list of league records upon his retirement, he experienced a tremendous fall during his senior year at Pitt. Having a poor season, he fell all the way to the Miami Dolphins, who were able to grab him near the end of the first round. Stories of potential (and never proven) drug use, as well as his poor season, scuttled Marino’s reputation, and left him as the last QB standing in the draft. Of course, mistakes were made, such as the NY Jets taking Ken O’Brien (out of a Division II school!) ahead of Marino. But it is such stories in which legends are made. The documentary succeeds in revealing the stories that took place over the phone, and behind closed doors, drawing us into the amazing draft, and the fallout that followed it. Interviews with the people involved, some GMs, some owners, and the players themselves, does what 30 for 30 always does: lets us, the casual sports fan, behind-the-scenes of something amazing, just to see just how much more amazing it really was. Elway to Marino is another winning documentary from ESPN, and for those who are fans of the series, it definitely is one not to miss. 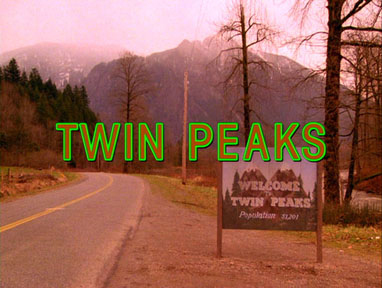 There is no possible way in which I could be more excited for the return of Twin Peaks to television. Sure, I will need to wait until 2016 for it to happen, but this is one of the many good things about this recent announcement. I am so excited, that it has taken me a week to really process this news, and consider the possibilities, before I was even able to write about it. Typically, I would be afraid of the return of the show, in the same way that I am always leery about a film adaptation of a favorite novel: you want it to be incredible, but typically it falls flat, leading to disappointment. There is always that voice in the back of your mind telling you that whatever the new thing is, it is going to be terrible, and it will end up ruining the source material. I have considered this, and have decided that even if the new version of the show is no good, it will never be able to ruin the original series for me. I simply love it too much. The new version will add to the story, and to the lore, but it can never take away from what has already been done on the screen with the original run of this show in 1990-91. They aren’t releasing the new Twin Peaks until 2016. Which means they are not going to rush through writing and production. They are going to be taking their time to make something wonderful, which is great news. With fans of the show clamoring for new episodes, it would have been a huge mistake to rush something out. It will be on Showtime. While part of the lore and incredible nature of Twin Peaks is that it was a strange, boundary-pushing show on network TV back in the day, we no longer need that. Network TV has become its own thing, and it is the cable networks that are showing us the new kind of shows. TP doesn’t need to push the boundaries anymore; that is done by a ton of cable shows. Now it can just tell the story, in the most David Lynch-ian way possible. Being on cable will also allow new freedoms that would not have flown during the original airing. Being set 25 years later, the story lines are infinite. What has happened to all of the characters? Did Cooper end up going on a killing spree, now that he was infected by Killer Bob? Will he have become a new version of Wyndam Earle? Could the show focus on Harry Truman hunting his pal Cooper, somehow knowing that Bob became a part of him at the end of the series? I am giddy thinking about it. Both Mark Frost and David Lynch will be behind the 2016 version of the show. 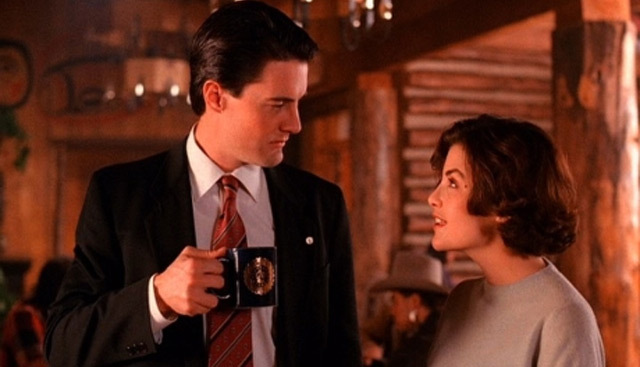 Twin Peaks should not be in the hands of anybody else. Will all of the original cast be returning? Amazing if they did. There always seems to be holdouts when these kinds of reunions/long awaited sequels happen. Of course, a couple of casting changes could be survived, but it would be really cool to see absolutely everybody back in action. I hope they do a couple of small things to keep the show grounded to its roots: keep the original opening credits and theme song, as well as the music in the show needs to be the same. 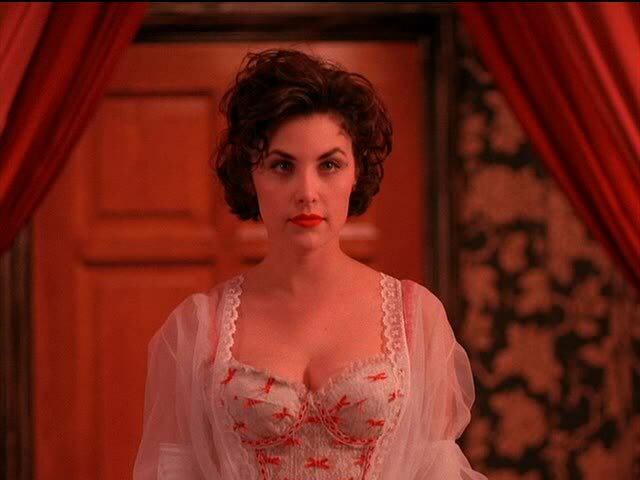 I can’t wait for the jazz drums to fire up when Audrey Horne first walks into a scene. I feel like this continuation of the show will be great for the viewers who have made it a cult classic over the past 25 years. Surely, there will be a ton of curiosity from new viewers, but I can envision this new version being just as weird as the original, making it something that is not necessarily made for a new audience. There are a ton of fans out there, salivating at the idea of more of their favorite show. And I am extremely excited to see what they are able to do with it. Take me back to the Great Northern! There definitely aren’t many concert movies that come out any more, especially ones that attempt to intertwine a narrative within a concert that is occurring on the stage. 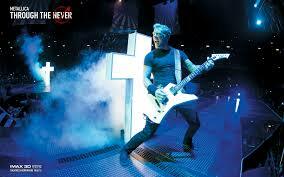 Metallica, never a band that is afraid to push the boundaries, has done so for their entire career. They have always been willing to try something new, either to the glee or disdain of their fans. They became the most successful heavy metal band in the world by altering their sound into more radio friendly lengths of song, they began making music videos, they wrote some ballads, they had classical influence in their music, even in the early days, they wrote a couple of albums in the 90’s that isolated many fans who felt they had sold out, they released several concert DVDs, they had a film based on their fractured relationship and near-breakup during the days of James Hetfield in rehab. They have seen it all, and done it all, so it was not entirely surprising that they would attempt to make a concert film, in 3D no less. Metallica: Through the Never was filmed during their most recent world tour, something that have seemingly been doing almost non-stop since 1982. 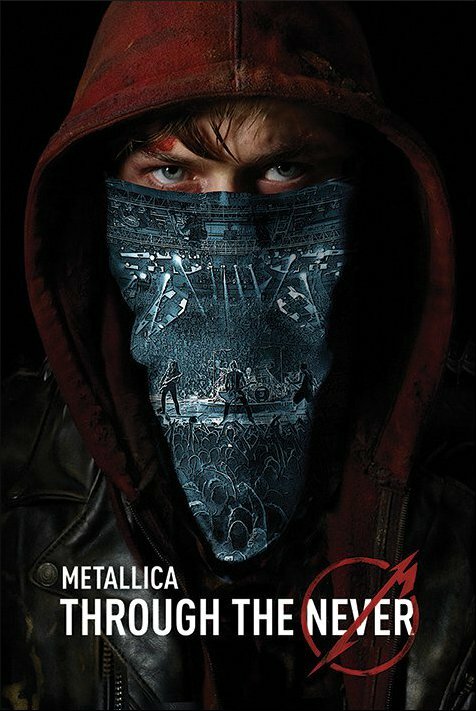 The narrative centers around a young kid, who has a menial job working for the Metallica road crew. While he gets to begin watching the concert, he is asked on a favor for the band, to find one of their vehicles that had run out of gas, and contained a bag that the band really needed. He goes on an adventure, all the while when Metallica is rocking on the stage. He walks into a world that is borderline apocalyptic, yet he always maintains his mission of finding the truck and the bag within. While the story is a little odd, and often doesn’t even really fit with the things that are happening on the stage, it does provide us with some pretty cool visuals. I never had the chance to see it on the IMAX, or in 3D, but you can easily tell the scenes that would have looked really cool popping out at you while sitting in the theater. The story is definitely not the best thing I have ever seen, but it never really takes away from the concert, which is good. It doesn’t add a ton, but like I said, some of the visuals are really well done. As for the concert itself, Metallica is in their usual fine form, hammering through a near flawless show. They maintain their tendency to play some of their songs a little quickly compared to the album versions, but this has always just added to the speed and fury of their live shows. The stage used it another great one, incorporating elements of their past concert tours. There are the crosses from the days of Master of Puppets, the massive, and eventually crumbling, statue of Lady Justice from …And Justice For All, something similar to the Snake Pit from the Black Album days, and they even reuse one of their stunts from the Load tour, in which a couple of roadies get injured when the stage collapses, leading to an intimate finale, with the band in close proximity to one another, as though they are back playing in the garage. For those who have seen Metallica live, at any stage of their careers, it is always known that the pyrotechnic introduction to “One” is always a highlight of the shows. In Through the Never, it is the best I have ever seen it, with extra explosions, and impressive looking machine gun fire. Very cool. The setlist provides a little bit of everything for Metallica fans new and old: the usual entry to “The Ecstasy of Gold,” they tear into Creeping Death, For Whom the Bell Tolls, Fuel, Ride the Lightning (which includes an awesome Tesla machine), One, The Memory Remains (one of their most impressive live songs, regardless of your thoughts on Load and Reload, the sing-a-long ending is amazing), Wherever I May Roam (not in its entirety, though), Cyanide, …And Justice For All (I can’t hear this song live enough times), Master of Puppets, Battery (not the full version either), Nothing Else Matters, Enter Sandman, Hit the Lights, and a beautiful conclusion with Orion, during the closing credits, that really shows off the impressive nature of the band’s writing, as well as the incredible skill of bassist Robert Trujilo. 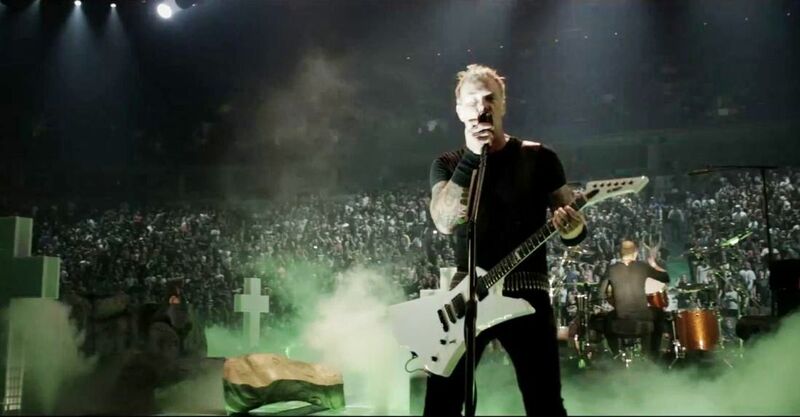 The sound of the concert is very strong, and I happily listened as Hetfield’s guitar came across with the crunch that fans of the band have loved for so long. Despite getting old, and getting a little more grey, Metallica is still able to put on a great show, full of energy, and they are always able to amp up a crowd, regardless of the size. The band is still huge, and they are still on top of their live game, in my opinion. While a fan of the band probably won’t be watching this one for the story that goes along with the show, it does look cool, and it doesn’t take anything away from the Monsters of Rock on the stage. The concert itself is quite good, and the sound is one of the best parts. Definitely a must watch for all those Metallica fans who have been faithful to the group as they have aged and changed, respecting the fact that they are willing to try something new, and willing to push that envelope. Over the course of one fateful summer, a high school kid figures out that he loves to run, and that he is able to do it incredibly well. He is more than fast. As the title suggests, he is Stupid Fast. Despite his best friend having to leave for the summer, he conveniently begins dating the new girl in town, who just happens to have rented the house where his best friend used to live, and doesn’t seem to mind as our protagonist creeps on her through the window and door while she practices piano in the early morning, which he is able to see while on his disliked paper route. When others in town begin to notice his impressive speed, he defies logic of his socially meaningless position in the high school hierarchy, and begins to mesh with the football players, working the weight room with them, running routes with the school QB, and building his endurance by running up the menacing town hill. All the while, he is forced to lament the death of his father, who committed suicide when he was just a kid, his increasingly erratic brother, and his mother, who is slipping into a terrible mental state herself, destroying her family along the way. It is a lot to deal with for a teenager, and he does it the only way he knows how: by running. There are some good things and bad things about Stupid Fast. The author attempts to write with constant humour, and while it does give the book a more lighthearted viewpoint, the humour often falls flat, and he does not manage to make the narrator’s voice as entertaining or funny as other YA authors, such as John Green, who has become the master of having his characters make light of serious situations. This failure to develop scenes that are different and fun makes the voice of the narrator kind of annoying, particularly near the beginning of the novel. While the story definitely takes its time to get going, forcing readers to get through about the first hundred pages or so before anything of real significance begins to happen, it does become more entertaining once the repetitive nature of the first act is over with. Once you get past this, it does become a much quicker, and fun read. There are events that happen in much more rapid succession, and it makes me wish that this pace had been established at the beginning. For the ending, without giving anything away, it ends too easily and abruptly for my taste. Not that I am adverse to happy endings, but this one read like he was in a hurry to get it all done, and decided to wrap it up quickly, in a nice little bow. He does a good job, however, in making sure that there are no loose ends, and story lines that served as undertones for the novel also were paid there due in the conclusion of the novel. To his credit, Geoff Herbach, the author, does some things quite well, which keeps Stupid Fast open for a broader audience. He makes sure that the love story never veers into the cheesy or overly romantic territory that too many YA novels tend to do. He keeps it simple, and despite the coincidental nature of his meeting with the girl, the relationship remains pretty realistic for a teen romance. This ensures that the book will still be of interest for male readers, who are not looking for something sappy. Also, the inclusion of sports definitely helps. The sections about running, weightlifting, or football, tend to work quite well, but are not so detailed that they will ostracize non-sports fan readers. Stupid Fast ended up being a pretty good read, and I quite enjoyed the novel. There were times when I wasn’t sure if it was going to be worth it, but once I got over that initial 100-page hump, it was well worth it. It is a good light read, nothing too serious here, despite the fact that there are some serious issues being dealt with. I wish it were funnier, and that perhaps the narrator had a more sarcastic voice, or something, but in the end, I liked it. Hockey is back. So that means it’s time for me to make some wild guesses as to how the regular season will play out over the next 82 games. Maybe even make a way-too-early Stanley Cup prediction that will surely not come true, if only because I guessed it. 1. *St. Louis Blues: Looking at that roster, it is just so deep. Their top-6 are among the best in the league, and that D is impressive. I think Elliott and Allen can get it done in net. 2. *Chicago Blackhawks: They are going to be Cup favorites again. Another incredibly deep team. No reason to think there is any drop off in them this season. 3. *Dallas Stars: Ok, I’ll bite. All offense, very little D. But that can work in the regular season. 4. *Colorado Avalanche: I don’t think the drop off will be as huge as the advanced stats say. This is still a young, fast, exciting team. 5. *Minnesota Wild: Made some good moves. Still a lot of questions in net, where not much has been done to improve themselves. They seem doomed to always be battling for a playoff spot. 6. Nashville Predators: Same old, same old. Solid D. No offense. I don’t know that James Neal makes that big a difference without Malkin on his line. There will be some good stories here, like a possible Ribeiro comeback, but that’s about it. 7. Winnipeg Jets: Still, nothing has been done to improve this team. They need to blow it up, if their GM realized that making trades was allowed. Horrible goaltending will sink the potential of the forwards and young D again. 1. *Anaheim Ducks: Deep, big, strong. A regular season beast of a team again, even with the changes in net. 2. 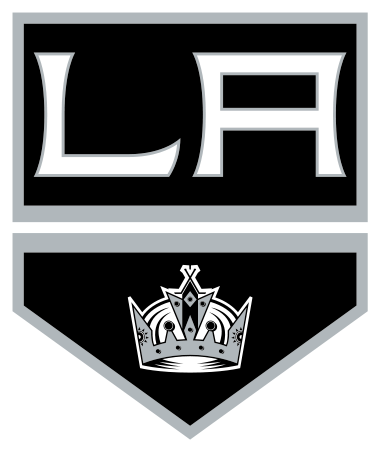 *Los Angeles Kings: The champs will coast through the regular season again, waiting to make their move in the playoffs, as usual. 3. *San Jose Sharks: Despite the weird off-season, they are still a strong and deep team. There is absolutely enough there to be a good regular season team again. 4. Vancouver Canucks: I hated the Ryan Miller signing, but this team will bounce back a little bit after the debacle that was the last year. Still not a ton there, and I feel this team needs some massive changes to get back into the race. 5. Phoenix Coyotes: Always underestimated. Strong D and goalies will carry them, but who knows who will score goals for them? 6. Edmonton Oilers: Blah, blah, blah, youth. They will be better, especially with actual NHL goalies on their roster this year, but there is too much ground to make up to be much of a threat in this scary conference. 7. Calgary Flames: They worked their butts off last year, and probably over-achieved. They will be in the running for Connor McDavid this year. 1. *Boston Bruins: They remain the class of the East. Best goalie, best D, deepest forward crop. 2. *Tampa Bay Lightning: Another exciting team. Biggest question mark for me is in net. Is Bishop a one-year wonder? 3. *Montreal Canadiens: Mostly put them here because I don’t know who else I reasonably could. A decent team, but nothing special here, in my opinion. 4. Toronto Maple Leafs: Once they fire their terrible coach, they might be a decent team. Still, no playoffs. 5. Florida Panthers: I guess the only surprise pick so far. There is something going on here, and with a real goalie and a ton of youth, they could be pretty decent for once. 6. Detroit Red Wings: 25 years in the playoffs is a long time. The run ends this year. The forwards are either too old and frail, or too young and inexperienced. 7. Ottawa Senators: There just isn’t much to like here, except perhaps a nice bounceback year for both goalies. 8. Buffalo Sabres: I actually think they will be significantly better than last year. They are doing their rebuild right, and there is a lot to work with here, as they move forward. 1. *Pittsburgh Penguins: I’m already going to pick another playoff collapse, but with two of the best players in the world, they will probably run away with this division. Yup, I’m using the fisherman. 2. *New York Islanders: Yup, you read that right. 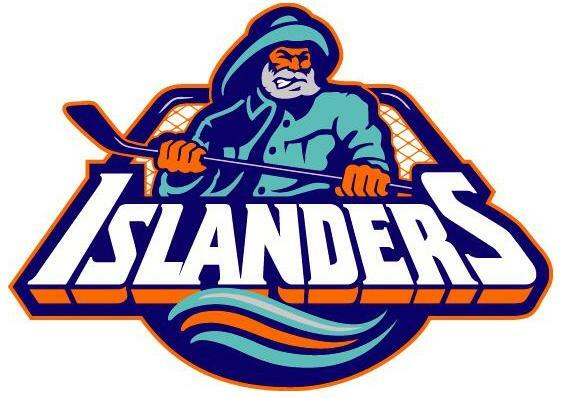 The Islanders. I feel they made a ton of improvements over the summer, and are ready to get back into the dance. I feel there is some serious potential on this team, and if Halak can be semi-competent in goal, they have a real shot at being a special team. 3. *New York Rangers: They lost a lot since the Cup finalists last year, but they will still be respectable. Especially since Lundqvist is still their goalie. That alone gets them in in this messy division. 4. *Columbus Blue Jackets: Quietly a respectable team again. They work hard, and have some skill and nice building blocks. Hopefully there isn’t too much of a drop off in net, or with their won’t be named training camp holdout forward. He needs to shake off the rust, and fast. 5. *Philadelphia Flyers: I really like a lot of the talent on this team. If someone like Giroux decides to play the whole season, I could see them finishing as high as third in this division. 6. New Jersey Devils: I don’t really get this team. But they will hang around for most of the year. 7. Washington Capitals: Where have you gone, Southeasy Division? Getting Trotz as a coach was the right move, but there are far too many gaps in this roster, and you have to wonder how long they will buy into his system. 8. Carolina Hurricanes: I predict that they will win the lottery, and sadly, will get McDavid. Which is too bad, because let’s be honest. Not many people care that Carolina even has a team. One of hockey’s most forgotten about franchises. They are going to be bad, I feel. Sabres bad. Hart Trophy (MVP): John Tavares, Islanders. It’s time. And with a better team around him, he will shine. Art Ross (scoring): Sidney Crosby, Penguins. Betting against this is basically betting against him being healthy, or getting injured. He is by far the best in the game. Norris (best D): Alex Pietrangelo, Blues. Changing of the guard. The potential is there. With a little more offense, he will be in the conversation again. 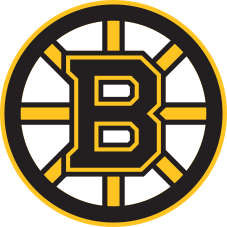 Vezina (best goalie): Tuuka Raask, Bruins. Such a good team. He benefits from that. Oh, and being really good as a goalie. Stanley Cup Final: St. Louis vs. New York Islanders. Not only do I think the Isles will make it back to the playoffs this year and win their first series since 1993, I think they will go all the way to the finals, shocking absolutely everyone. This is how wide open, and weak, I feel the East is this year. There will be at least five teams from the West that could beat the Isles in a series, but that’s what happens when geography occurs. I will pick the Blues to do it this year.